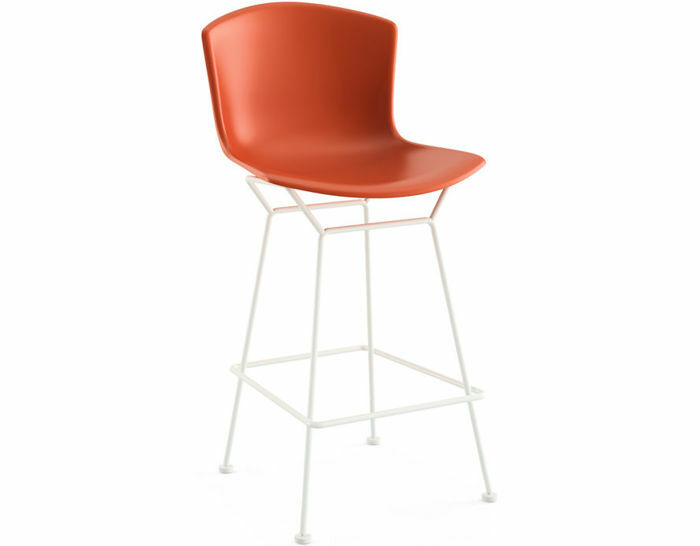 The Bertoia Molded Shell stool is a reintroduction of a design originally debuted 1960. 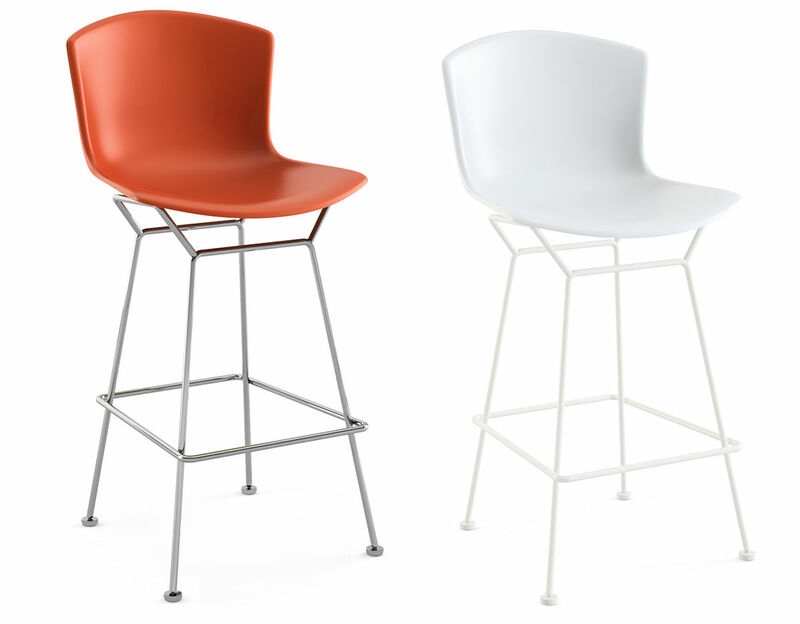 Merging the sublime grace of the wire-form stool with a touch of color and natural flex, the reinvigorated classic is ready to add colorful accents to any room. 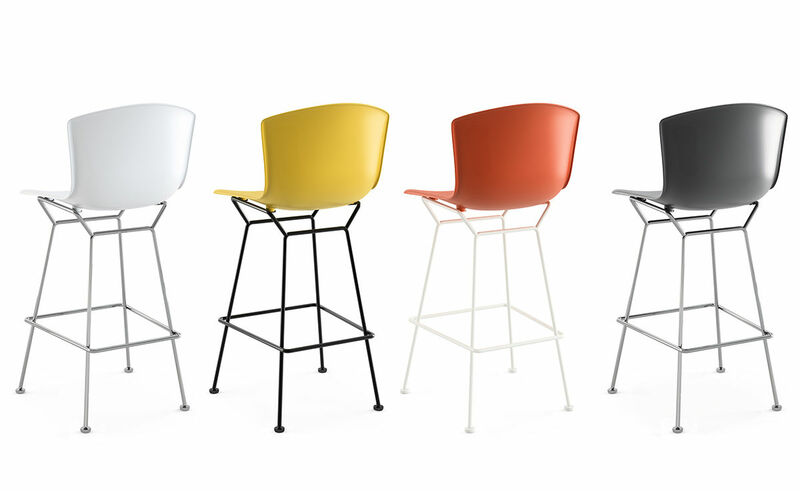 Mix and match the stools or keep a singular color palette, the Bertoia Shell stool offers an iconic design with a playful tone. 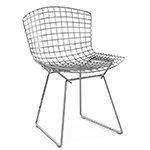 Italian sculptor, university lecturer and furniture designer, Harry Bertoia was an inventor of form and an enricher of design. 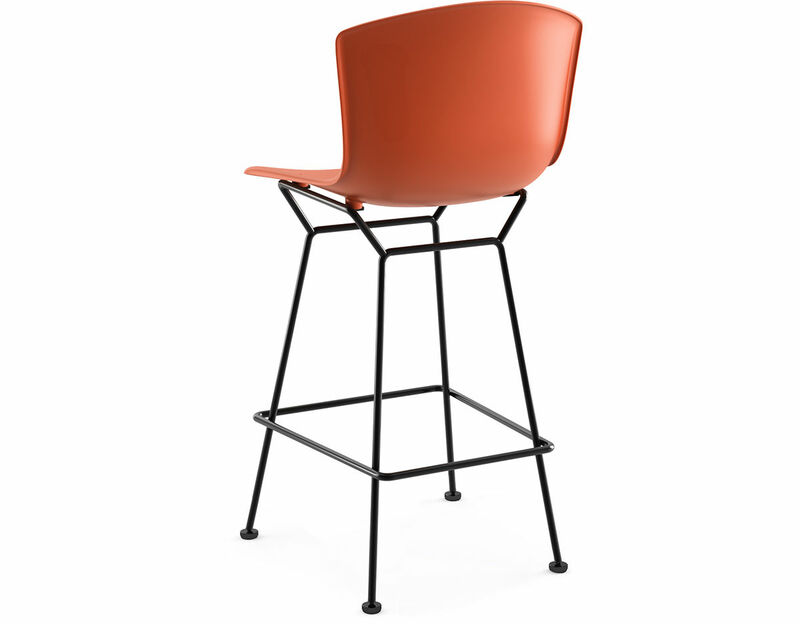 He introduced a new material by turning industrial wire rods into a design icon. Educated at the Detroit School of Arts & Crafts and Cranbrook Academy of Art. 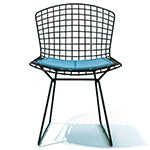 Bertoia taught metal crafts at Cranbrook while working with Charles Eames to develop his signature molded plywood chairs. 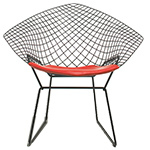 Eero Saarinen commissioned him to design a metal sculptured screen for the General Motors Technical Center in Detroit. 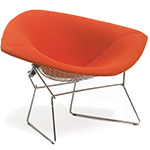 His awards include the craftsmanship medal from the American Institute of Architects, as well as AIA's Gold Medal. 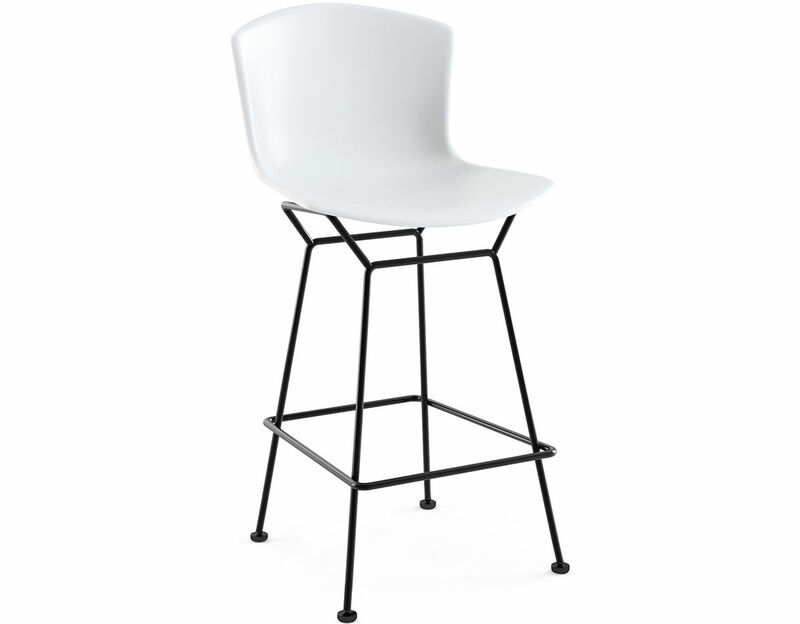 The stool base features 14mm welded steel rods in polished chrome or highly durable bonded powder-coat (white or black) with stainless steel connections and 1.25" wide round articulated glides with metal cover. 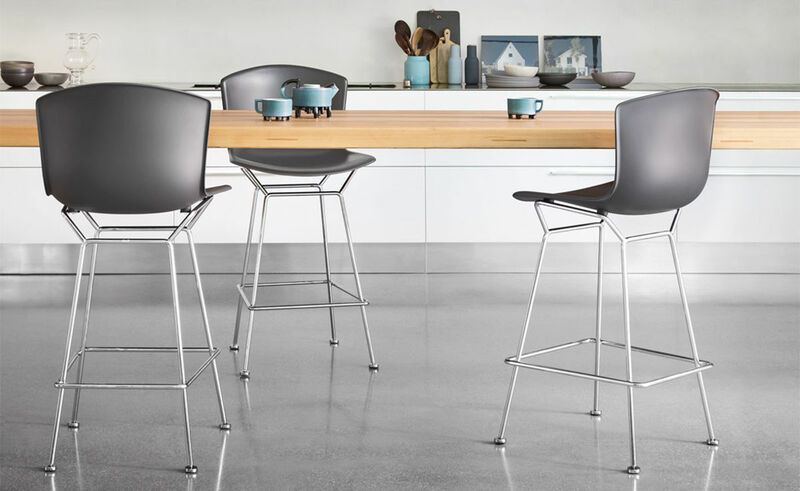 Counter height stools are best paired with tables and counters that are 36-39" high. Bar height stools are best paired with tables and counters that are 40-43" high. Not appropriate for outdoor use. 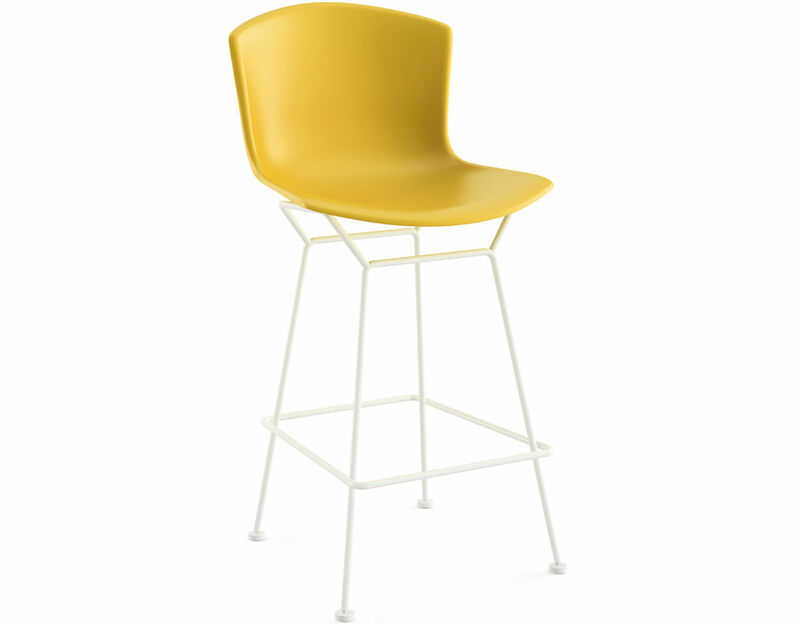 counter height stool: 21.75" w | 22" d | 39.5" h | seat: 27.5" h | 22 lbs. 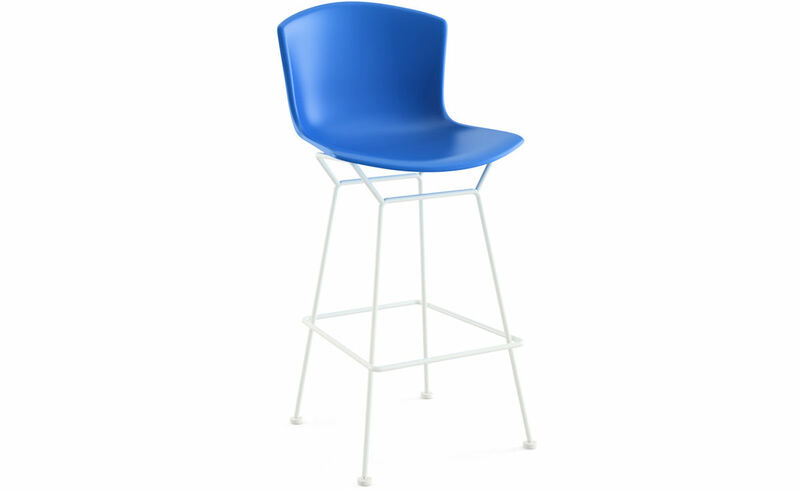 bar height stool: 21.75" w | 22" d | 41.25" h | seat: 29.25" h | 23 lbs. 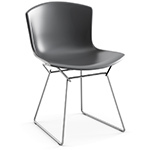 $585.00 + plus shipping in the continental U.S. 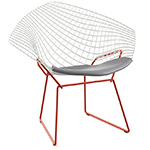 In addition to designing furniture, Italian-born Harry Bertoia (1915 -1978) was an artist and sound art sculptor. 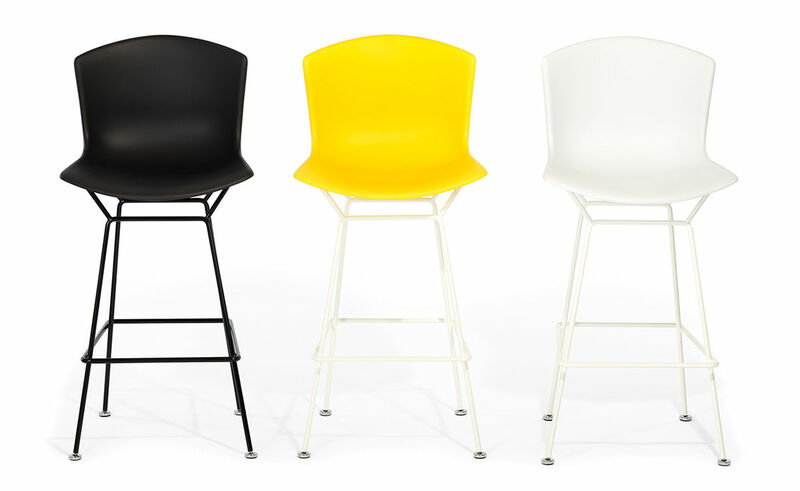 At age 15, he moved to Detroit from Italy after intending only to visit, and began studying art and design. In 1938 he attended the Art School of the Detroit Society of Arts and Crafts, now known as the College for Creative Studies. The following year in 1939 he received a scholarship to study at the Cranbrook Academy of Art. In 1939, he opened his own metal workshop and taught jewelry design and metal work, focusing mostly on the jewelry as the war made metal an expensive commodity.